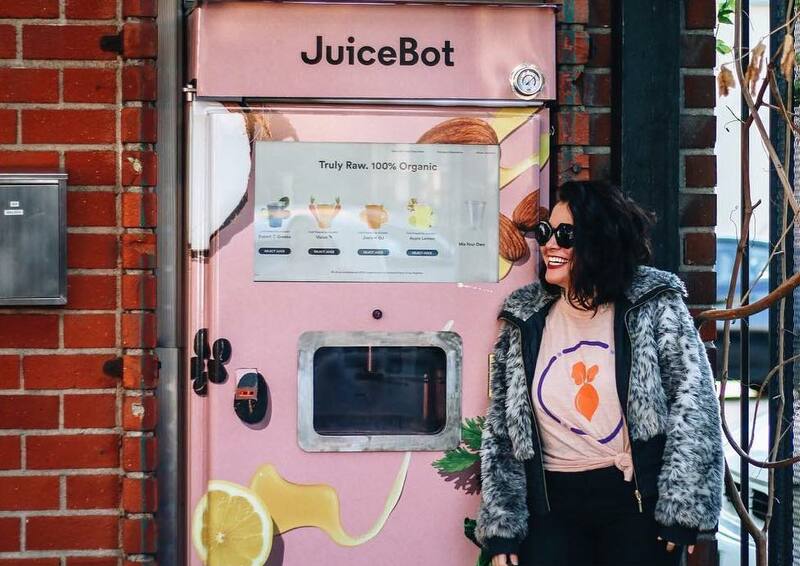 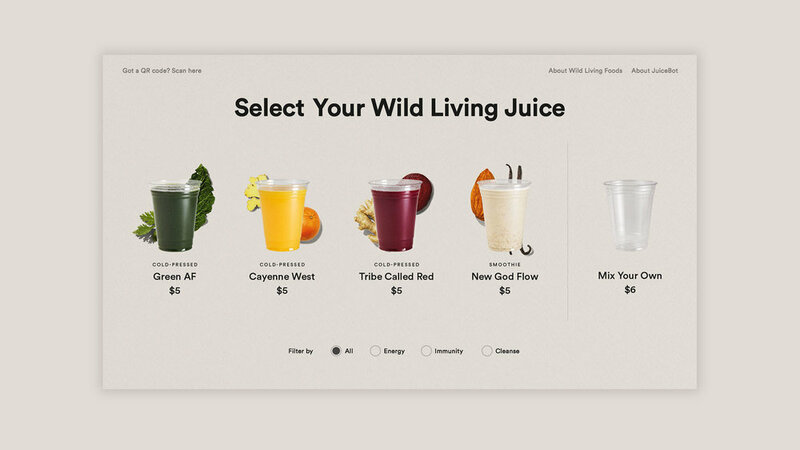 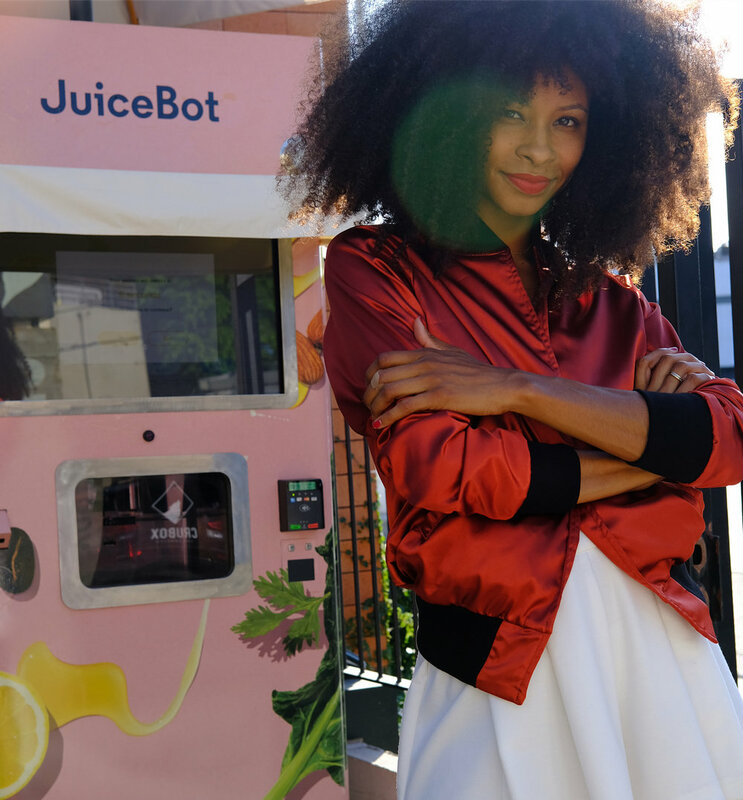 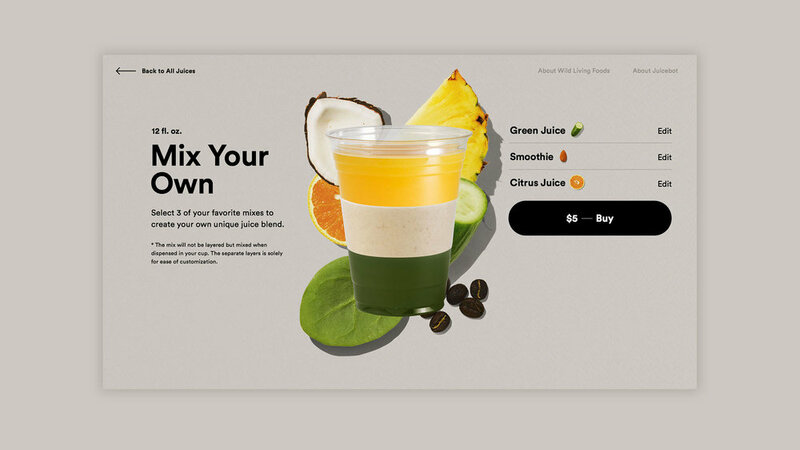 JuiceBot is an organic juice vending machine that aims to make fresh organic juice more accessible and affordable to everyone. 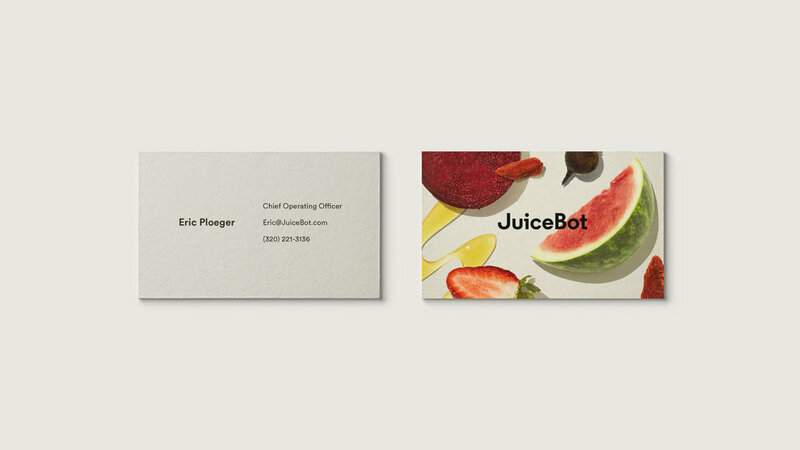 Our task was to completely rebrand JuiceBot. 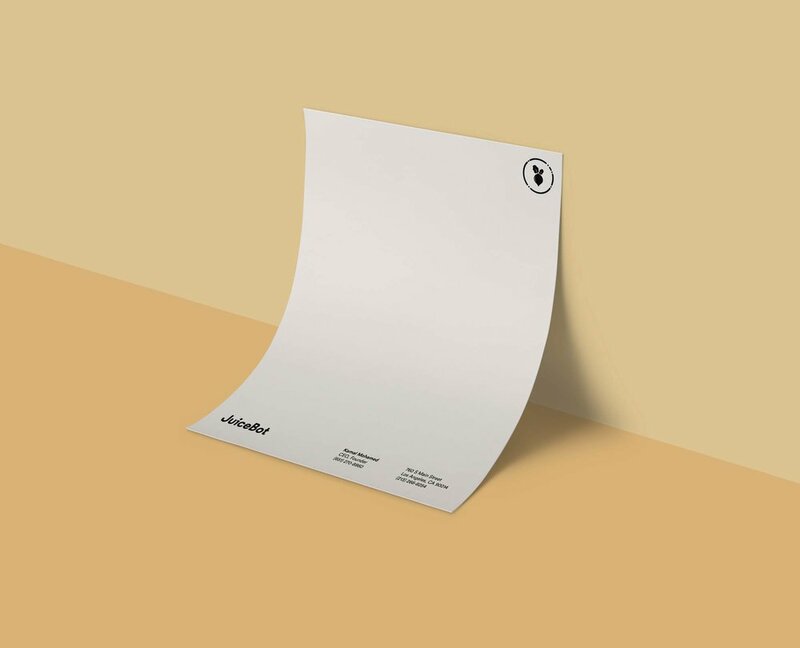 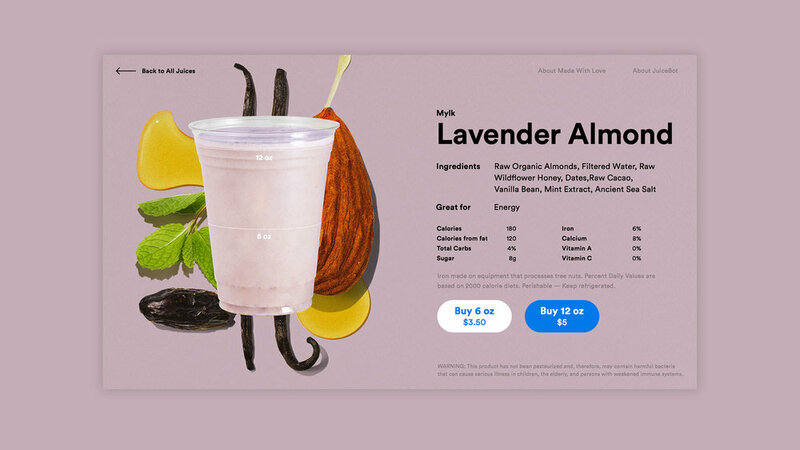 This included a new logo and identity system, a suite of produce photography, an overhaul of the vending machine interface, vending machine wrap, and website.